I love how the once innocent Daenerys Targaryen turned into a very witty and powerful Khaleesi. 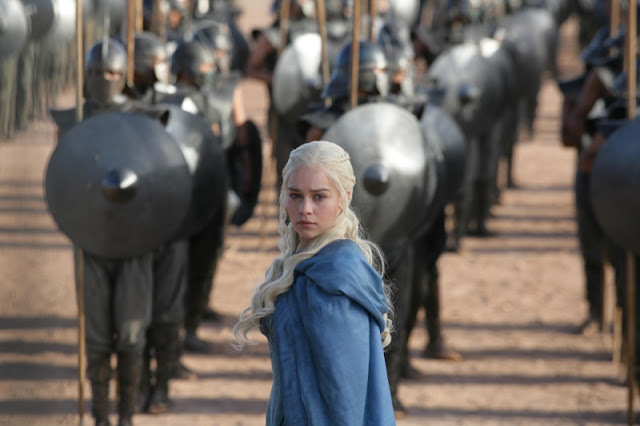 Imagine how she have grown very confident now that she has three dragons to spare -- or were there only two left after she amassed an army of thousands of Unsullied? If week by week you learn to love the series more and more, don't worry you are not alone in that dilemma. Next week in Kissed by Fire, we will get to know more of Ygritte, the very character referred to by the episode title. "Kissed by fire" is a phrase used by the wildlings to describe people who are red-haired. Maybe this is the episode where Jon Snow finally dips his wick, a nice way of warming up in the cold regions of the North. Watch Game of Thrones Season 3 Episode 5: Kissed By Fire on April 28, 2013 at HBO.